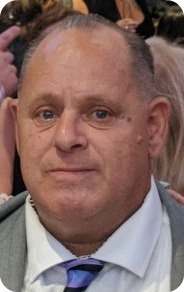 John Anthony Seggio, 54, gained his wings on Sept. 1, 2018. He was born on November 14, 1963 in Brooklyn, New York. He is survived by his loving mother, Sarah, three siblings, Sandra, Joseph and Jeffrey, daughter, Kristen, and two grandchildren, Matthew and Kaylee. John Seggio blessed all those he encountered with endless laughter and happiness. His memory will live on forever through the hearts of his family, friends and loved ones. Funeral from Bedell-Pizzo Funeral Home on Thursday at 9:45 a.m. Mass of Christian Burial at St. Thomas the Apostle R.C. Church at 10:30 a.m. Interment to follow at Resurrection Cemetery. Friends may visit Wednesday from from 2 to 4 and 7 to 9 p.m.